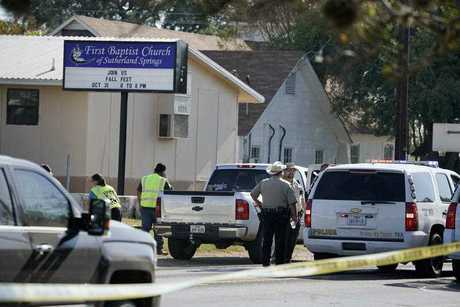 A GUNMAN in full combat gear has killed and wounded dozens of people during a shooting spree at a small Texas church. 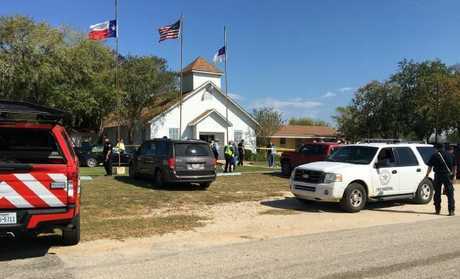 The incident took place at the First Baptist Church in Sutherland Springs, a small community of about 400 people located about 48km south east of San Antonio. CBS and NBC, quoting law enforcement sources, have said the gunman is Devin Patrick Kelley, 26. He died in his vehicle in a neighbouring county, but it is unclear if he was shot by police or took his own life. There are also conflicting reports about police pursuing him from the church to where he was found. A senior police officer at the scene, Albert Gamez Jr, said "details are sketchy" but confirmed at least 27 people had died. As many as 30 others have been injured. A neighbour said the shooting happened about 11.15am local time when there were about 50 people at the service - if that number is correct then almost the entire congregation would have been killed or injured. Another local officer said "there were kids involved" in the shooting, including two who were fighting for their lives. The scene near the church shooting. 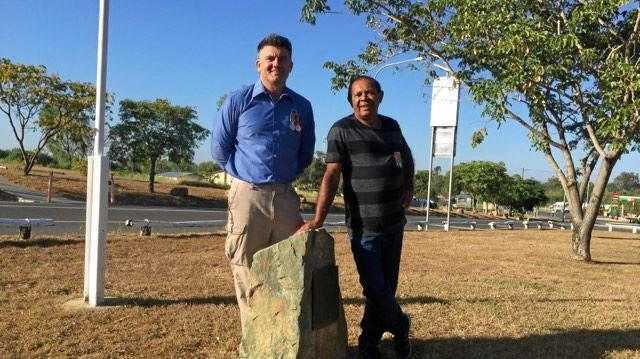 In a separate interview his wife added: "My husband and I were ironically out of town in two different states. We lost our 14-year-old daughter today and many friends." Other victims included a six-year-old boy named Rylan who was in surgery after being shot four times, his uncle told CBS News. A two-year-old was also shot and wounded, according to Dallas Morning News report. A young man standing outside the Brooke Army Medical Center in San Antonio, said he and his mother had been wounded in the shooting and that this father had been killed. Amanda Mosel told the San Antonio Express her 13-year-old goddaughter was among the dead. "From what I've heard, someone just walked in and started shooting," she said. 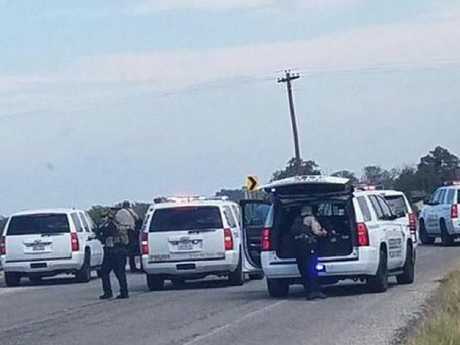 Initially it was believed the shooter was killed after a brief chase north into neighbouring Guadalupe County but it is now unclear how he died. "There was no police chase," Guadalupe County sheriff's spokesman Sergeant Robert Murphy told AFP, denying earlier media reports that the gunman was killed after a pursuit. "He was in his vehicle," Mr Murphy said, without adding any further details. A witness said the gunman was dressed in what looked like combat gear when he burst into the church and began shooting during the Sunday morning service. It is unclear if the shooter was killed by police or took his own life, Mr Murphy said. There is a large police presence at the church. Constable Thomas Silvas, an officer from Wilson County, told Fox News officials were working on removing the bodies. Rescue helicopters have been called to the scene to rush victims to hospital. There are reports the gunman was seen to reload "several times". Texas Governor Greg Abbott tweeted shortly after the incident was reported: "Our prayers are with all who were harmed by this evil act. Our thanks to law enforcement for their response." Carrie Matula, who works at a service station about 140m away from the church, told MSNBC she heard "semiautomatic gunfire" and looked to see what was going on. "I never thought it would happen here," Ms Matula added. "This is something that happens in a big city. I would never have thought this would have taken place here. It's just too tight a community. It doesn't make sense." A woman who lives about 10 minutes away in Floresville and was monitoring the chaos on a police scanner and on Facebook, said that everyone knows everyone in the sparsely populated county. 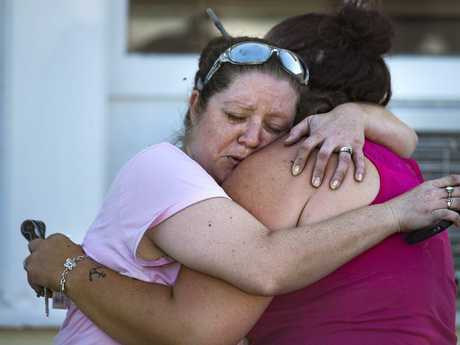 "This is horrific for our tiny little tight-knit town," Alena Berlanga said. Megan Posey, a spokeswoman for Connally Memorial Medical Center in Floresville, Texas, told The New York Times she did not know exactly how many patients the hospital had received, but more were continuing to arrive. University Hospital in San Antonio tweeted it had received nine patients, including 4 children. Pastor Paul Buford, pastor of nearby River Oaks Church, told ABC affiliate KSAT of the frantic calls members of his church received as they were in their own service. "We had some first responders in our church who immediately left and went down there and my church, we did what we do, we started praying for everybody." He didn't want to say what he'd heard about the horror of what occurred in the church until all family members had been notified. A nearby community hall was being used as a gathering point. Today's massacre is already the worst church shooting in US history, surpassing the nine killed at a Baptist Church in South Carolina in 2015. It comes just over a month after Stephen Paddock killed 58 people by opening fire on a concert in Las Vegas from his hotel room. It also means three of the five deadliest shootings in the US have come in the past year.